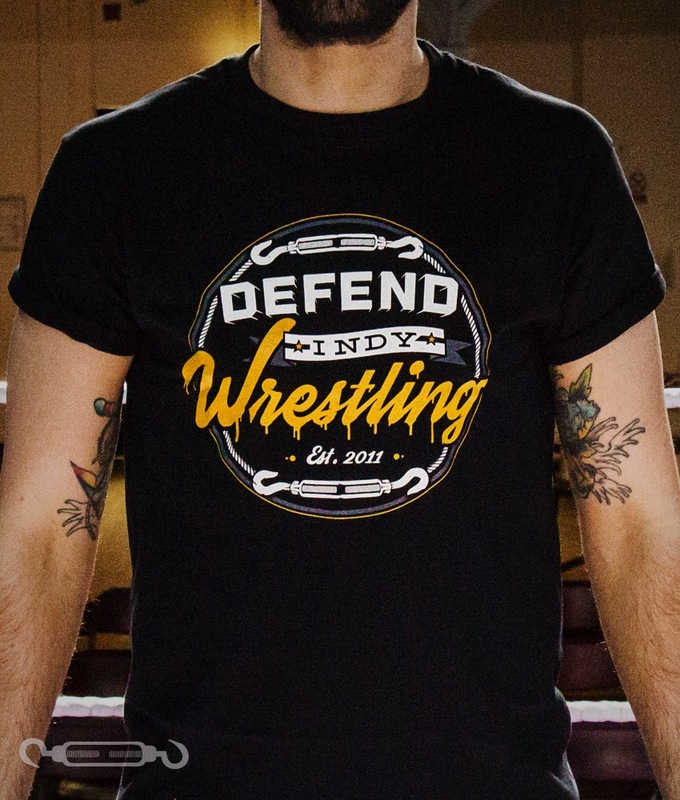 Coming in at £22, available for both men and women in sizes S - 5XL. Stylish and contemporary design exactly what you need as a t-shirt for Wrestlemania 32. 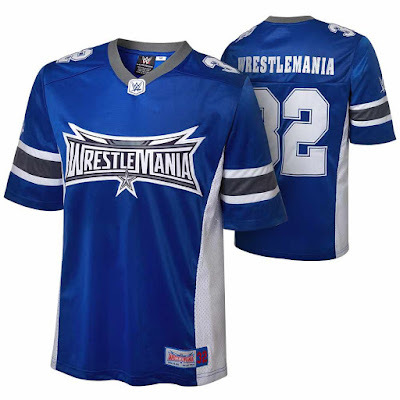 But WWE regularly do American football jerseys to highlight their awesome events don't they? 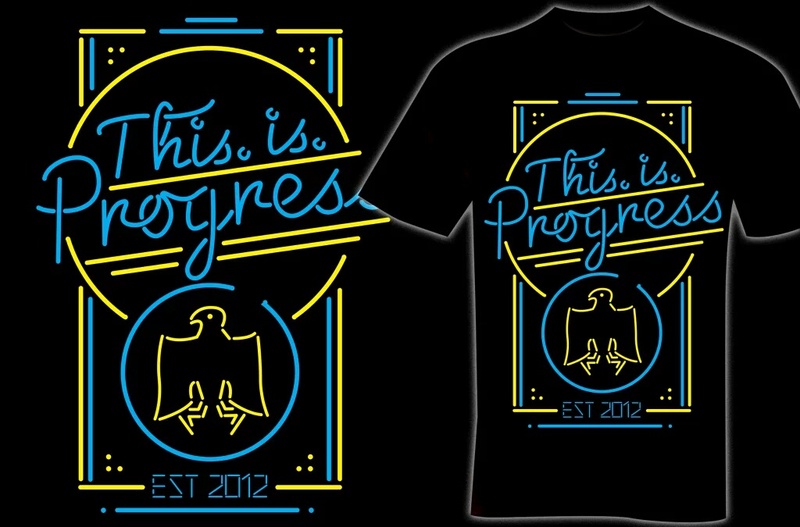 And you'd be right, coming in at £66 and available in sizes S - 3XL. Yes, it's dearer, but you can tell the immediate difference in style, look and fabric. This is the elite version of the Wrestlemania T-shirts. Swivel J-hook attachment. Breakaway closure clip. 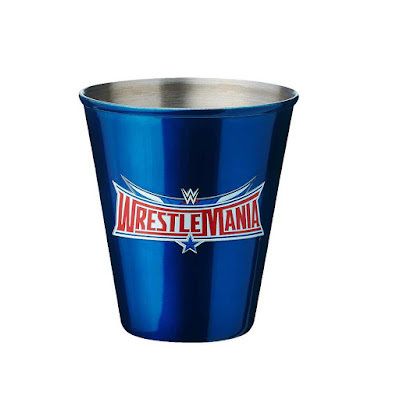 Measures 36" x 1"
Available in Men's, Women's in sizes S - 5XL and Youth sizes too, his new t-shirt is in the new arrivals section priced at £22, something everything Ambrose fan should have in 2016. 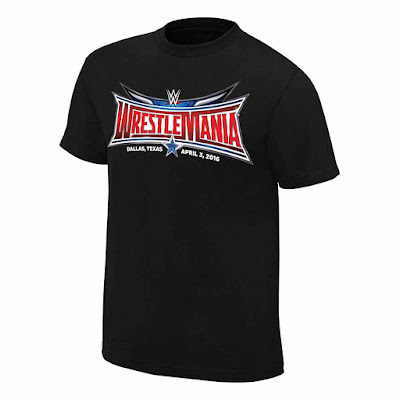 Dean Ambrose, "This Lunatic Runs the Asylum" T-Shirt. Calling on all Ultras everywhere, this is the good stuff! 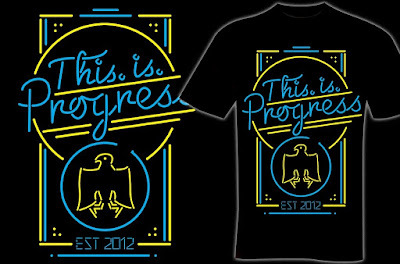 New Neon and Skeleton claw designs are both PRE-ORDER ITEM's and the shipping expected around 28th March. S - 3XL at £17.00. 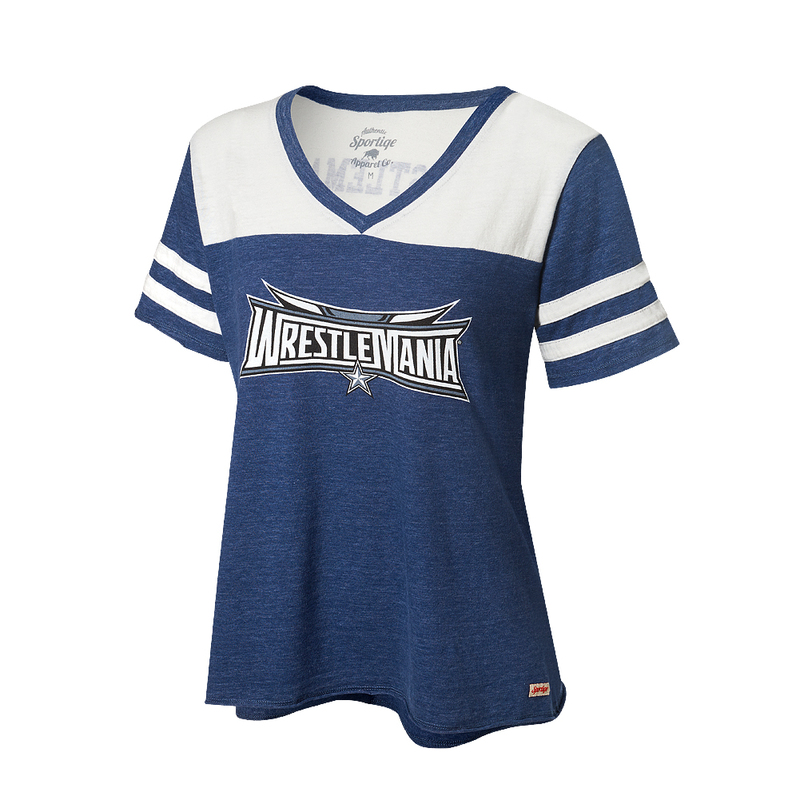 New arrivals are here and I am a fan, seriously the items on show aren't just good to wear at wrestling shows but damn fashionable too, especially as we leave Winter and head into the so-called Spring season. 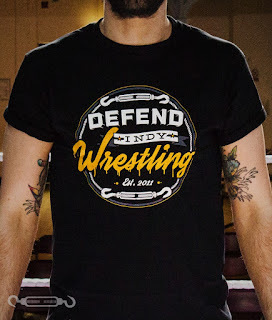 Designed by AAW: Professional Wrestling Redefined star Marion Fontaine, his work also available on the link below, the t-shirts are in in sizes S - 2XL at £12. Who doesn't like wristbands! 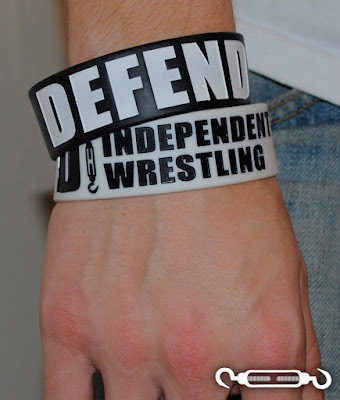 DEFEND Indy Wrestling wherever you are with out new 1 inch thick rubber wristbands, available in white and black! 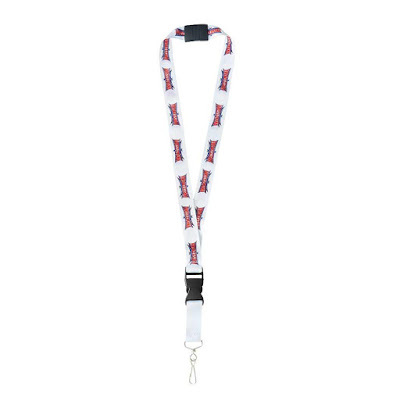 1 band for £3, or tag team it up with both for £5! 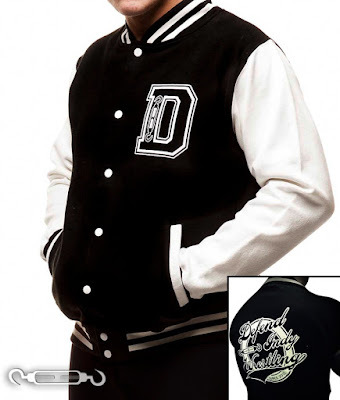 And this is a jacket, not just any jacket but varsity jacket, available at £30 in sizes S -XXL, it certainly looks good. 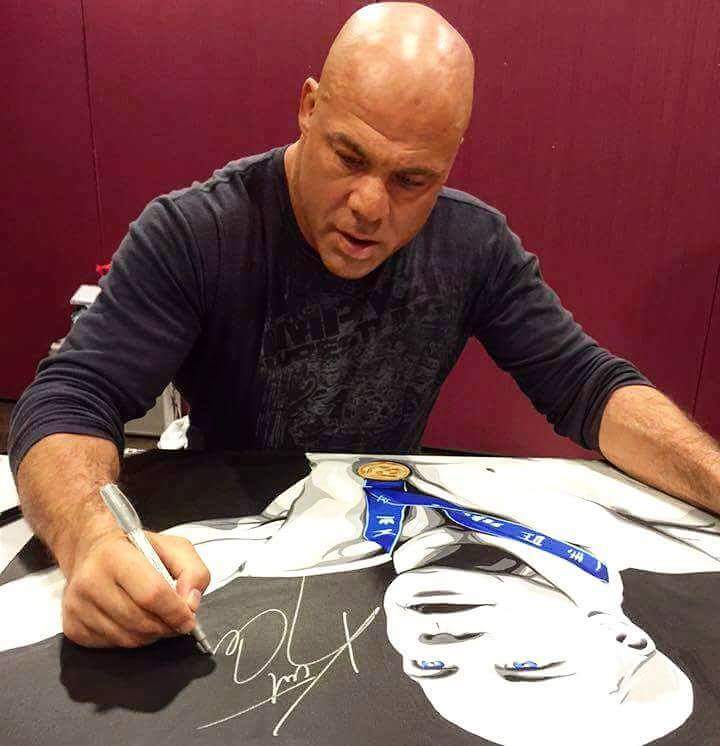 his work admired by The Dudley Boys, Scott Steiner, Kurt Angle and many more, I would recommend that if this is the type of thing your looking for click the link below. Now that was this week on the Merchandise Stand, hope you found something you like, see you soon. Check out my Twitter feed for all my latest articles around the net!